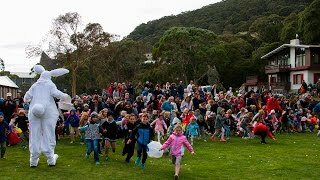 Headlining this Easter Long Weekend is Thredbo’s AUD10,000 Golden Easter Egg Hunt by Lindt. Six Lindt Golden Bunnies will be hidden, with a jackpot Bunny worth AUD5000 and five other Bunnies worth AUD1000 each. With six opportunities to take home the cash this Easter, it could be egg’stra special. There will also be a Lindt Giant Kids Easter Egg Hunt from 10am at Friday Flat, where there will be over 5000 Lindt chocolate eggs! Everyone must register on the day and have a wristband to participate. Don’t get there late and miss registration. 18+ must be present to claim the prize.